Gofo Technologies is the Top & Best Domain Registration & Domain Transfer Services Company in Bangalore, providing secure & reliable Domain Registration & Domain Transfer Services in cheap & cost effective prices among all Domain Registration companies in Bangalore. If you are looking for a fast and cheap domain registration or domain transfer company in Bangalore, then Gofo Technologies offering you the opportunity to register your new domain or transfer your existing one if you have such registered domain names with another domain registration company in Bangalore India. 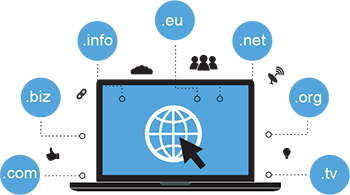 Gofo Technologies not only register or transfer your domain names, we will also give our customers free of charge Domain Management System that will help you to fully manage your Internet presence without any hassle. We offer a wide range of services for Domain Registration & Domain Transfer which includes free domain names search, web domain name registration, cheapest domain registration, domain registration services, website domain registration & free registration of domain name. If you are looking for best Domain Registration & Domain Transfer Company in Bangalore then Gofo Technologies is the Best Domain Registration services company in Bangalore among all major Domain Registration services companies in Bangalore.